December is a time for celebrating—but not everyone has the time, energy, or budget to throw an all-out bash. Furthermore, December tends to be a busy time (at least at the beginning of the month) where people try to get as much done as possible before the end of the year. Even if you’re not planning a company holiday party, it’s still nice to acknowledge the holiday with your hard-working employees. Even something as small a nice catered lunch in the month of December can help you to show your appreciation and give employees an hour (or maybe a few if you’re feeling generous) away from their desks. Think of holiday catering as an opportunity to bring everyone in the office together in a relaxed setting before holiday craziness sets in. The closer you get to Christmas, Hanukkah, and the New Year, the harder it will be for everyone to focus on work. It’s much better to accept the fact that as the holidays loom nearer, the office will be a little less productive. Instead of forcing employees to make it look like they’re working, take the opportunity to do something fun. Catering by Michael’s corporate holiday menu includes options for everyone in the office—even the biggest Grinch about food. Furthermore, most of our food items can be prepared in terms of many different types of dietary restrictions and preference so nobody feels left out of the celebration. 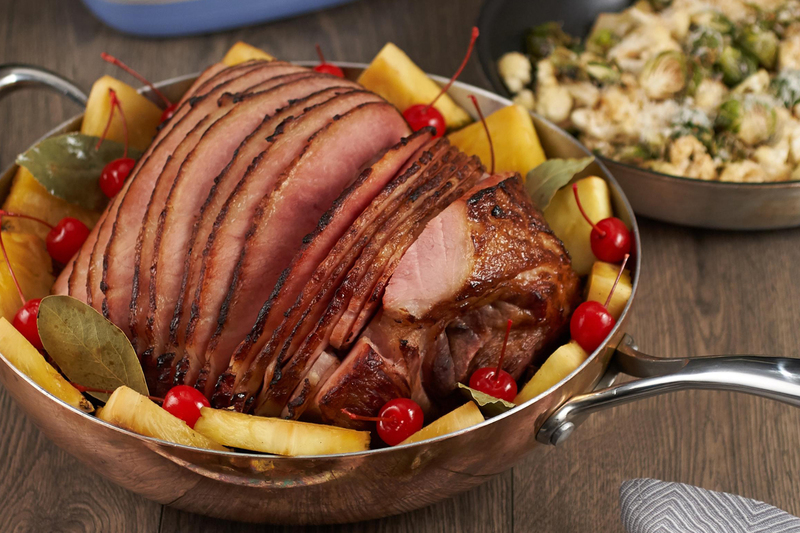 Honey Glazed Baked Sliced Ham (GF): Served in cider jus, garnished with sliced pineapple and maraschino cherries. Butternut Squash Lasagna (V): Sautéed butternut squash, sage, shallots, Parmesan cheese and nutmeg, layered with béchamel and spinach pasta. 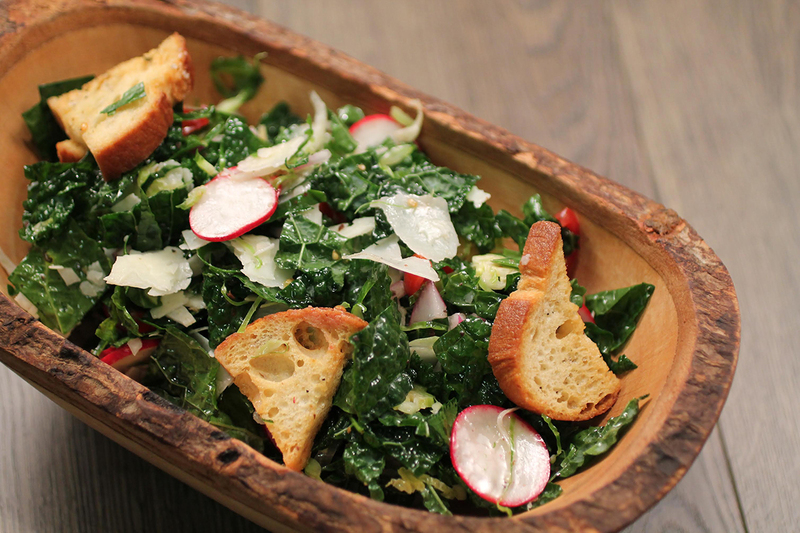 Winter Panzanella Salad (V): Crusty bread, Tuscan kale, shaved Brussels sprouts, fennel, radish, red onion, grape tomatoes and shaved manchego cheese, tossed in homemade red wine vinaigrette. “Candied” Mashed Sweet Potatoes (GF): Topped with mini marshmallows. Holiday Decorated Cupcakes (mini) (V): Chocolate cupcakes with vanilla creme filling and white or chocolate frosting and your choice of Winter, Hanukkah or Christmas decoration. Show appreciation for your employees this 2017 holiday season and they’ll have another reason to stick around for 2018 and beyond. Get in touch with us to place your holiday catering order as soon as possible to ensure on-time delivery.